Jim Kennard (center), with the Shipwreck Exploration Team members Roland Stevens and Roger Pawlowski. 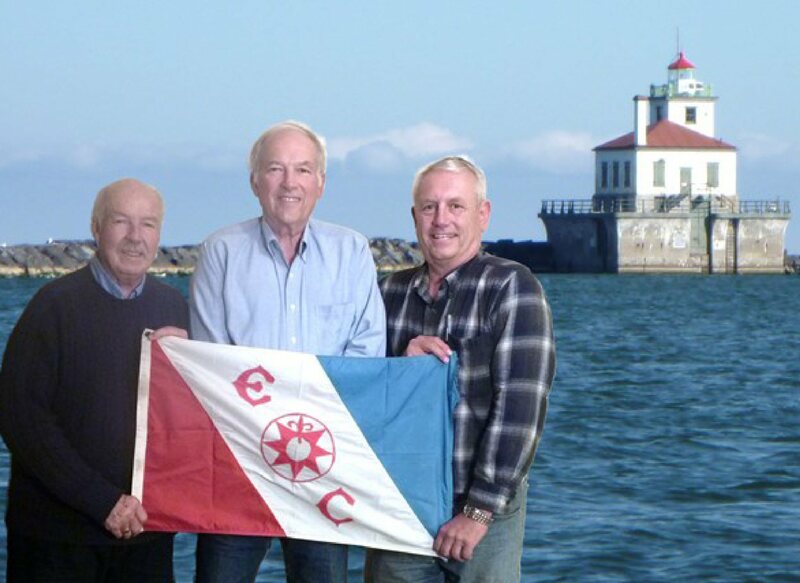 OSWEGO – The H. Lee White Maritime Museum at Oswego will host the final installment of its 2018 History Lecture Series on October 13 at 1:30 p.m. featuring underwater explorer and author Jim Kennard. Titled “Discovering Lake Ontario’s Historic Shipwrecks,” the presentation will dive into four significant historic shipwrecks in Lake Ontario discovered by Kennard and his shipwreck exploration team. Those shipwrecks include the steamer Roberval as one of only two steel steamers lost in Lake Ontario, the rare dagger-board schooner Three Brother that was lost in 1833, the sloop Washington built in 1798 and the second oldest Great Lakes shipwreck discovery, and the British warship HMS Ontario which foundered in a gale in 1780 and is the oldest shipwreck ever discovered in the Great Lakes. Kennard has been diving and exploring the lakes in the northeast since 1970 and has found more than 200 shipwrecks in the Great Lakes, Lake Champlain, NY Finger Lakes and in the Mississippi and Ohio rivers. Using his background as an electrical engineer, he built the side scan sonar system that located many of the shipwrecks. The most significant discoveries include the 1780 British warship HMS Ontario, the sloop Washington lost in 1803, respectively the oldest and second oldest shipwrecks discovered in the Great Lakes and in 1983 a unique horse powered ferryboat in Lake Champlain. All of these discoveries received worldwide attention in the news media. Kennard and his shipwreck teams’ discoveries have appeared in a number of publications including National Geographic, Sea Technology, Inland Seas, Wreck Diver, Skin Diver, and Rochester, NY area magazines. He has appeared on national TV including Discovery Channel, CBC, BBC, FOX News, and other major network affiliates. In 2013 he was selected a Fellow member of The Explorers Club. Kennard’s new book Shipwrecks of Lake Ontario – A Journey of Discovery will be available in November 2018, and information will be provided on how pre-orders can be processed. Additionally, Kennard will be selling and signing copies of Legend of the Lake which features the story of HMS Ontario and its subsequent discovery. The Maritime Museum and Treasure Chest Gift Shop are open daily, 1-5 p.m. (10 a.m. -5 p.m. in July and August) and are located on the West First Street Pier in Oswego’s Historic Maritime District. For more information regarding this or other museum programs, call the museum at (315) 342-0480 or visit hlwmm.org.